The most recent test that has gotten the extravagant of the netizens via web-based networking media is the #10YearChallenge. 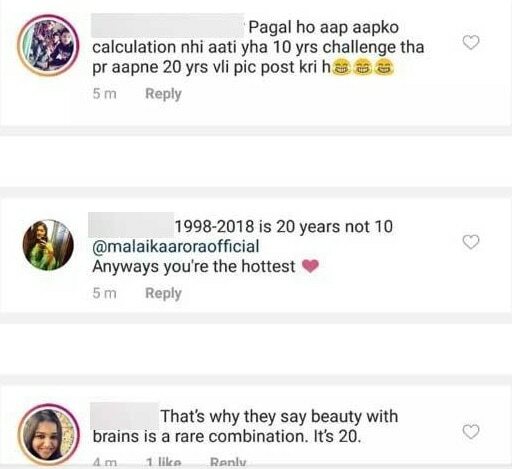 Various Bollywood celebs have responded to the call and shared their photos of what they looked like 10 years back and what they look like at this point. 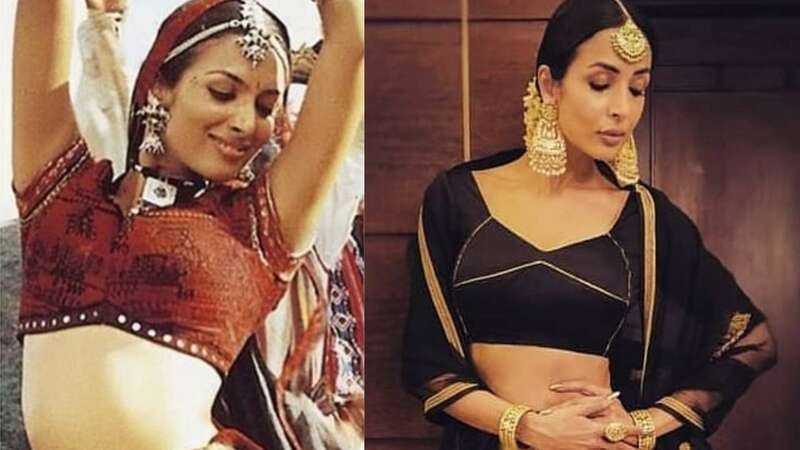 Malaika Arora too shared an old picture of herself close by an ongoing one taken in 2018 yet got fiercely trolled for the equivalent. Why you inquire? All things considered, turns out that the image that Malaika shared was 20 years of age, from the shoot of her prevalent thing number Chaiyya from Shah Rukh Khan starrer Dil Se (1998). While the on-screen character looks as excellent now as she looked around two decades back, a few haters took it to be a chance to troll her on her Instagam post. Malaika had shared the post on her Insta page and composed nearby, "My #20yearchallenge.... been an astounding last 20yrs,look forward to the following 20yrs"
The naysayers started commenting on the post, telling her that the challenge was for 10 years and not 20. While some of the netizens were busy pulling her leg, there were others who also shared that the actress looks as hot as she did 20 years back. Meanwhile, Malaika is grabbing the eyeballs these days for her relationship with Arjun Kapoor. The duo is frequently spotted hanging out at dinner dates and parties and recent reports even suggested that they're house-hunting for their dream home.